Enhance your Wood Violins experience with our amps and cases. Introducing the BRAND-NEW Space-Age Viper hard case by BAM, available in Black Carbon with our Wood Violins logo. You may purchase the new Viper BAM case in our store or through any of our authorized dealers. 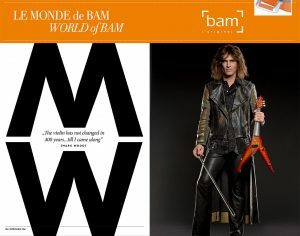 CLICK HERE (or on image below) to read a great interview with Mark Wood (in English and French) from the BAM Cases catalog. 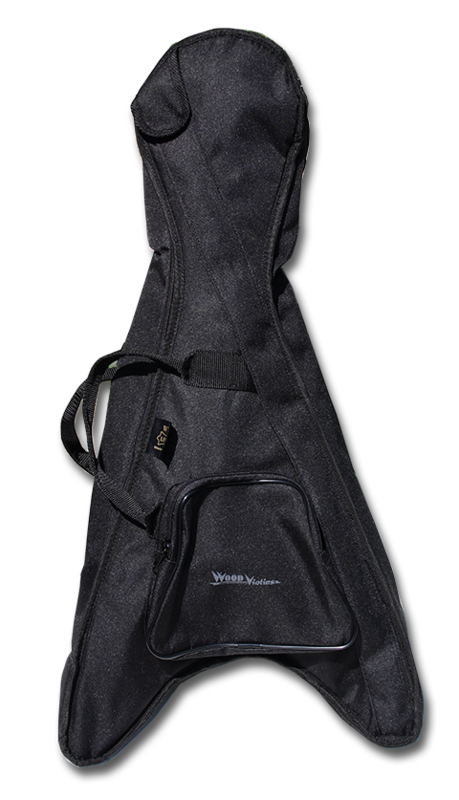 The Viper Gig Bag: Your Viper comes with this custom awesome cushiony gig bag, complete with a sleeve for your bow, an accessories pouch for items such as tuners and cables, and our Wood Violins logo. 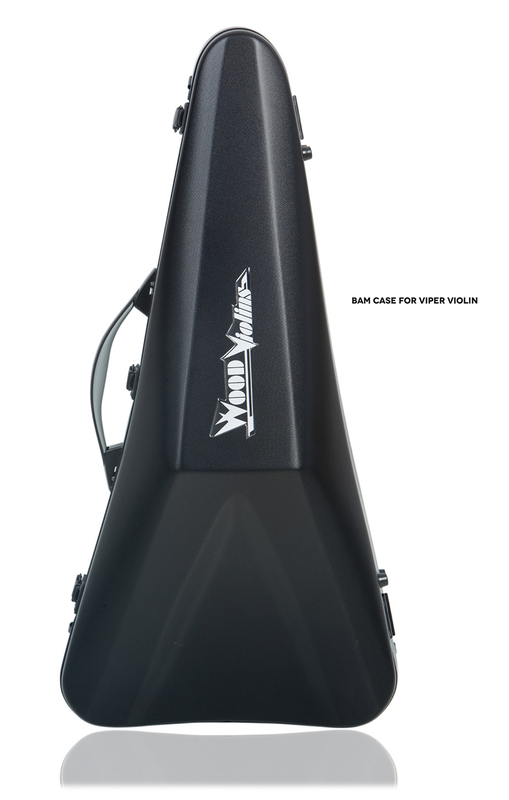 This dedicated electric violin amplifier, customized and developed by Mark Wood, is perfect for practice or performance. This custom-voiced amp features 2-band EQ with bass and treble control, a distortion channel (that goes to 11! ), variable delay with level control, and a headphone output. This great-sounding amp packs a real punch and is the perfect companion for any electric violin. 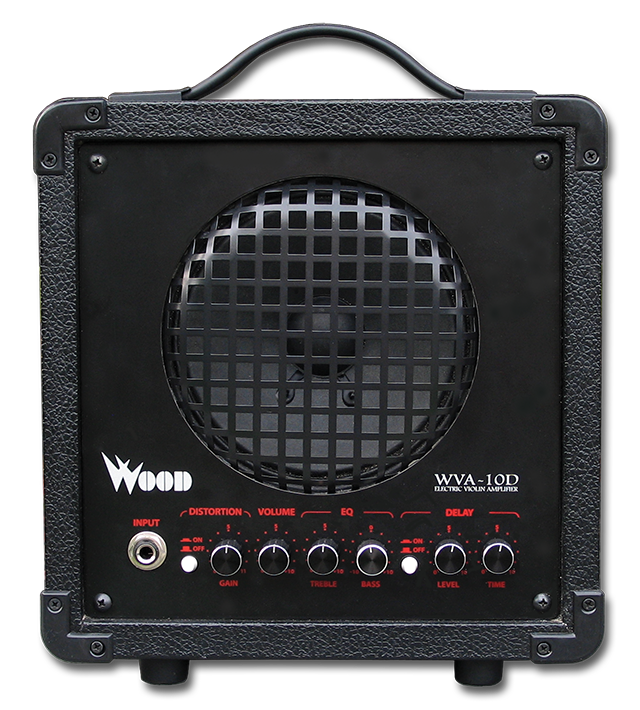 The WVA-10D will work in any country that runs 110V electricity such as the US and Canada. For other countries, the amp will work with a universal adaptor/converter that can be purchased at any local electronic store.